Every now and then, a piece of news will show up in my Twitter feed that’ll cause me to turn around and say “are y’all seeing this?” to the blank wall behind me. And that happened Tuesday morning when I read Jessie J and Ariana Grande are working on a cover of “The Boy Is Mine”. Yes, that “The Boy Is Mine”. The battle/duet that was executed flawlessly back in 1998 by R&B stars Brandy and Monica. Writer/producer extraordinaire Rodney “Darkchild” Jerkins—who cowrote and co-produced the original version of "The Boy Is Mine"—recently told HITS Daily Double that there’s “a very special project” in the works for his 20-year anniversary. That project, which will drop sometime in 2015, will feature some original songs plus some “reimagined hits.” And one of those "reimagined hits" is a Darkchild-produced Jessie J/Ariana Grande cover of “The Boy Is Mine". Look, when it comes to making music, I trust Darkchild always. And I love Ariana Grande and Jessie J. 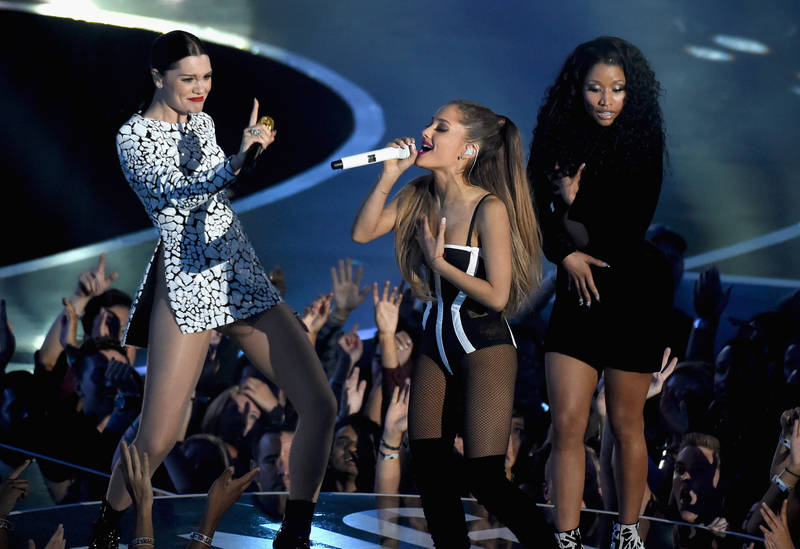 On paper, Darkchild + Jessie J + Ariana Grande is a terrific combo. ...But tossing “The Boy Is Mine” into the mix changes everything. Because Brandy and Monica's "The Boy Is Mine" is sacred. A classic. A perfect song that should be left to bask in the glow of its own perfection. I'm not quite sure what that last one means, but it made me laugh for 45 seconds.